Genesis Total Exteriors is a licensed and insured roofing expert; our goal is to provide Denver and the Front Range with exemplary service and a quality roofing system. It’s best to avoid unnecessary insurance claims so call Genesis and schedule a free damage inspection. 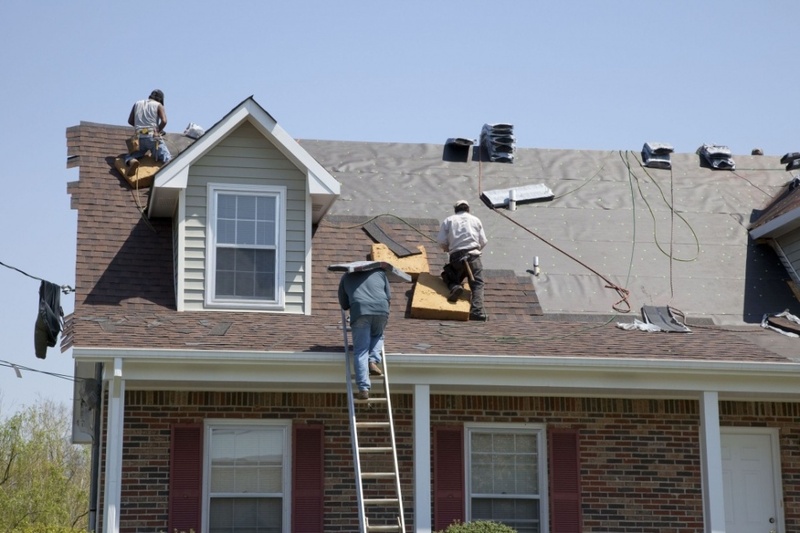 We will examine your roof thoroughly and prepare a damage report for your insurance adjuster. Insurance agents can be difficult to work with and without the assistance of our claim specialist you may not receive all the proceeds you’re entitled to. Your Genesis project manager will walk you through the process from start to finish; guiding you along the way to ensure you make informed decisions about what’s best for your home and the project budget. Genesis will complete the entire scope of work including any painting, siding, windows, and or gutter replacement that may be included with your claim. Our relentless pursuits of pride, professionalism and quality have made us the most recommended roofing contractor in the Denver area. For both our residential and commercial clients we strive to provide the highest grade roofing products, perform a quality installation and back our work up with warranties that really mean something! If you’ve been affected by a recent hail storm and are looking for roof repair or roof replacement call Genesis today! We install Ice and Water shield on all eves, rakes, and edges to help prevent wind driven rain from leaking through the roofs decking. It also prevents from ice and snow melting (caused by ice dams in harsh winter climates) from leaking into a properties home. Installation is not required by all city or county codes. We remove all existing roofing material down to the deck (deck material consists of OSB board, plywood, or plank) to ensure the integrity of the deck remains intact to support a nail-able service. We then apply one layer of synthetic underlay. The underlay overlaps 3 inches and is nailed to the top and bottom lap every 18 inches. The underlay consists of three rows of nails and in high wind areas; four rows of nails are used. Drip edge is installed on all edges, starting at the eve edge, working up the rake edges. Drip edge comes in 10ft sections which overlay 2 to 3 inches to cover edges. For eves, drip edge goes on under the ice and water shield and felt. On rakes it will be installed on top of the underlayment. Starter shingles are installed hanging over the drip edge a half inch. It’s installed like a shingle and you will notice the tar strip is at the lower edge and this will help prevent blow off. The first full size course of shingles is installed directly on top of the starter shingle with the tabs facing down towards the eaves. Laying your choice of shingles comes next. This shingle is the shingle you see when looking at your roof. Four nails per shingle are used and for steep pitched roofs and high wind areas, six nails per shingle are used. First we determine which area has the steepest pitch, or may carry the highest impact of water. We will keep this in mind as we will be cutting off that side of our valley. Once the body of the roof has been shingled, we will then apply the hip shingles, if you have a hip roof, which will be overlapped by the ridge shingles. Gable roofs will only have ridge shingles. We lay one hip cap at one end of the ridge and another at the other end. Plumbing vent boots will need to be replaced with new rubber ones. We attempt replace all step flashing, however if nailed or placed under or over siding we may not be able to replace. For chimney counter flashing, we always cut a new aluminum flashing due to tar not holding up forever.